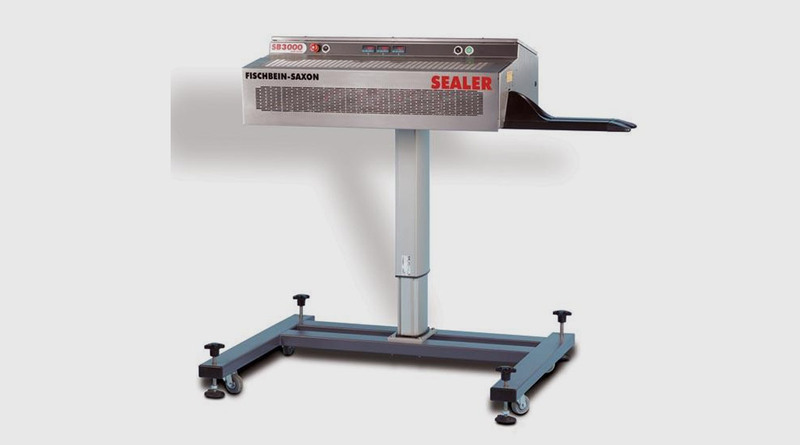 The SB3000 sealer has a 3 kW heater and vortex cooling. The SB3000 sealer has a 3 kW heater and vortex cooling. The heater module is removable for ease of maintenance and quick replacement of sealing bands. The machine has been designed for heavy-duty standard industrial use and has all the rugged characteristics associated with the Saxon family machines. 3 PID controllers with digital readouts accurately control the sealing temperature which allows a quality seal.